The Confetti Collective is one of my favorite brands for a few reasons. One reason is their Retail Therapy shop. As women we all know retail therapy is as real as real can get. It feels great shopping. It will boost your mood when you’re feeling down. We also know its like putting a band-aid over whatever the real problem is. What I love about The Confetti Collective brand is that its filled with meaningful tees and jewelry. I’m all about inspiring and motivating people to push forward no matter their situation and so is the Confetti Collective. Now lets get into this G I V E A W A Y!!!! WHO LOVES FREE STUFF???? The Confetti Collective is blessing one of my followers with one of my favorite jewelry pieces. 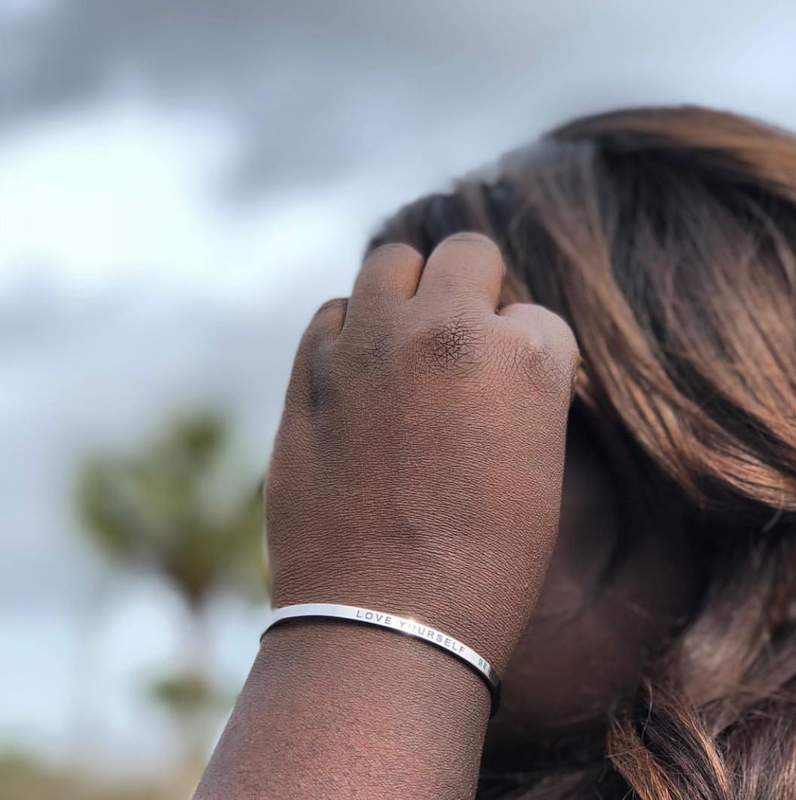 The “Love Yourself” confidence cuff bracelet is one of my favorites. It’s a constant reminder to make sure you do just that. Make sure you go and follow the @theconfetticollective_ on Instagram. Make sure you’re following the @thefashionabletraveler on Instagram. Comment on the Instagram post that directs you to this contest “done”!